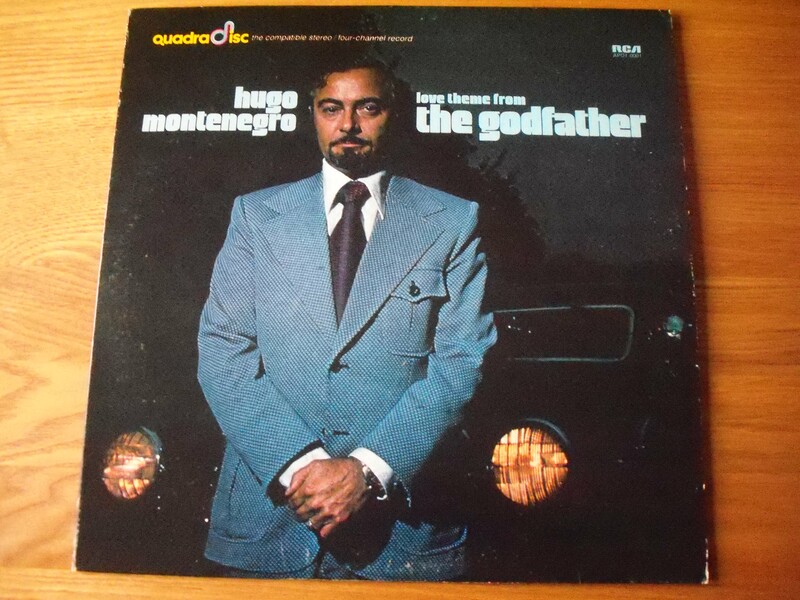 Along with Moog Power, Love Theme From The Godfather remains one of the high points in Hugo Montenegro’s catalogue. It’s a Quadradisc – a whole new world of sound – for no more money. It begins with a blast of movie Mancini – the hypnotic medley of Baby Elephant Walk and Moon River. This is carried through to a heady and lush version of Norwegian Wood. The fairground swirl of Me And My Arrow maintains this feeling exotica while Montengero’s take on I Feel Earth Move is a lively groover of electronic mayhem. Classical – wonderful and atmospheric renditions of Air On A G String and Pavanne. Godfather grooves – a nicely arranged Waltz followed by the menacing and synth-driven title track. Homegrown – John Montengro contributes the quirky rhythms of Quadimodo while Hugo finishes the LP with the sinister xylophone-meets-strings groove that is Stutterology.